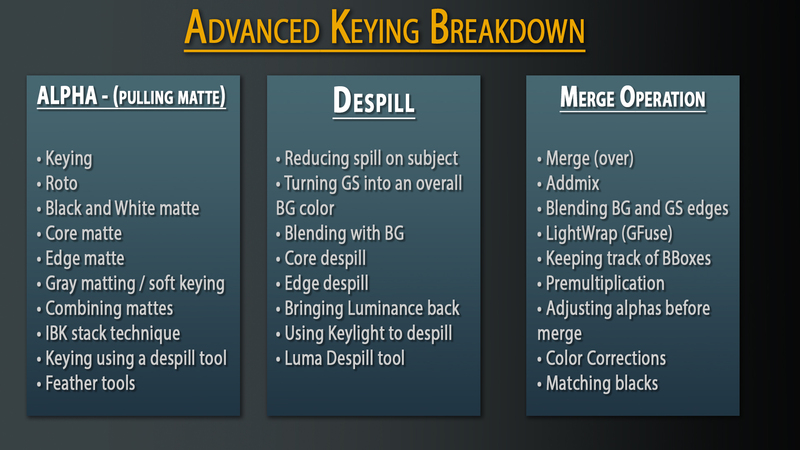 So I knew I wanted to do a keying tutorial awhile back, but I didn’t want it to be the same old crappy keying tutorial that you always see online. The teacher always talks about how to use the tools, and not about the main concepts or techniques behind them, the end result, what we are actually after. The 3 main parts are ALPHA, DESPILL, and MERGE OPERATION. I will go into all of these in far more details, this video is just me talking and doing a rundown of what to expect in upcoming videos. I recommend you guys browse through the following videos on Nukestation (a GREAT website and central location for nuke tutorials) if you are new to keying or compositing. 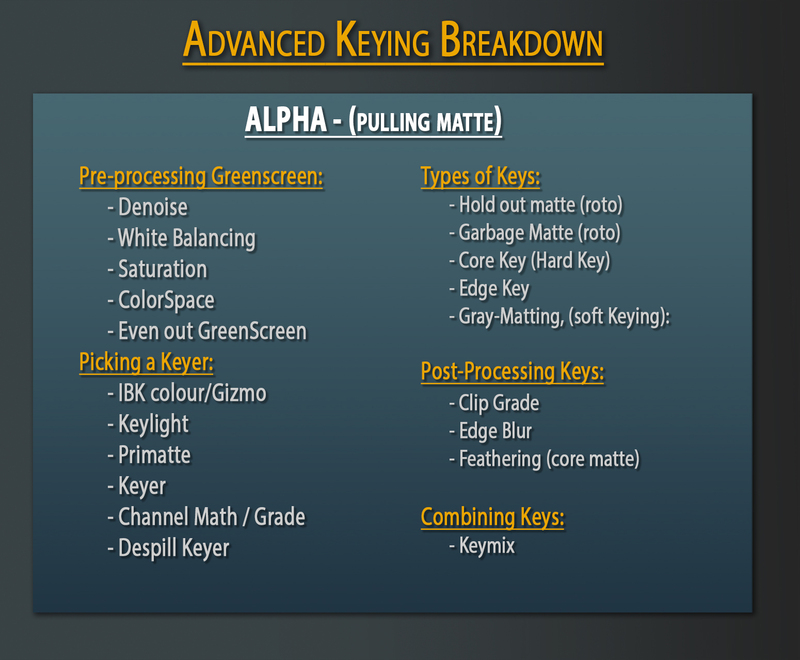 The video I am doing is quite advanced, and you’re probably going to want to get a firm grip on the keying tools in nuke before watching.